These are some philosophical works dealing with the rationale for and future of IP law. here is a link to the Wiki for a new version of Code. Litman (law, Wayne State U.) makes a forceful argument, written in clear English, for the imminent and current problems to be expected from the 1998 Copyright Law in the US, as well as other rulings leading up to it, that seek to limit free access to information on the Internet in favor of the companies that hold the copyright. She outlines the difficulties and inconsistencies within the law, and offers a revised version that would reform it. Much energy has been devoted to interpreting or changing legal rules in hopes of defending older business models against the threats posed by the new technologies. These efforts to plug the multiplying holes in the legal dikes are failing and the entertainment industry has fallen into crisis. This provocative book chronicles how we got into this mess and presents three alternative proposals--each involving a combination of legal reforms and new business models--for how we could get out of it. Free online versions of the introduction and final chapter are available here. In this treatise John Locke presents the philosophical foundation of property ownership used to justify both modern property ownership and intellectual property ownership. Locke's ownership theory is based on combining one's personal labor with communal property to create personal property with the caveat that enough property is left in the public domain for others to use. This work is in the public domain and as such is available free online. In this book, Rawls proposes that we arrive at a conception of Justice using minimal assumptions. He uses something called the "Veil of Ignorance" to derive his principles of Justice. This "Veil of Ignorance" assumes we would act in our own self-interest, but we don't know where in society we would end up. Rawls argues that we would come up with two principles of Justice; 1) each person has the most extensive basic liberties that are compatible for everyone having these liberties, and 2) social inequalities will be arranged so that they benefit everyone and such that we all have equal access to beneficial social positions. This work is not in the public domain and is not freely available. As the expansion of the Internet and the digital formatting of all kinds of creative works move us further into the information age, intellectual property issues have become paramount. Computer programs costing thousands of research dollars are now copied in an instant. People who would recoil at the thought of stealing cars, computers, or VCRs regularly steal software or copy their favorite music from a friend's CD. Since the Web has no national boundaries, these issues are international concerns. The contributors-philosophers, legal theorists, and business scholars, among others-address questions such as: Can abstract ideas be owned? How does the violation of intellectual property rights compare to the violation of physical property rights? Can computer software and other digital information be protected? And how should legal systems accommodate the ownership of intellectual property in an information age? 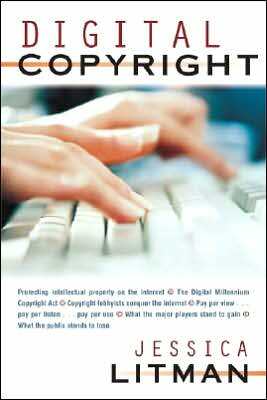 Intellectual Property is a lively examination of these and other issues, and an invaluable resource for librarians, lawyers, businesspeople, and scholars.This work is not in the public domain and is not freely available. This essay has four main sections: a brief description of the "Posnerian" approach to intellectual property rights; a historical look at the origins of intellectual property rights and of the relationship between property rights and technology; an examination of the economics of property rights and of public goods, and criticism of some typical applications of this theoretical machinery to intellectual property; and a description of the functioning of markets for non-tangible economic goods in the absence of intellectual property rights.